The Lowdown: Fancy sipping on delectable, oriental-inspired concoctions while enjoying an outstanding view across London? 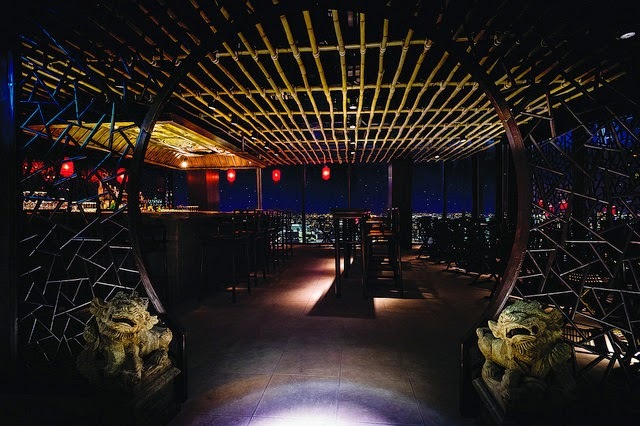 Look no further than Hutong at the Shard, where a brand new menu offers drinkers the chance to try Bing Cha (Iced Tea) cocktails with the addition of a birds-eye view. Where: The Shard isn’t hard to miss, being the tallest building in Western Europe and commanding the London skyline from its location in The City. Zoom up in the lift and you’ll find Hutong on the 33rd floor. Dizzying – in a good way. First Thing You Notice: It's impossible not to gawk at the view - this is one stunning panorama. Grab a table near the window, get there at early evening, and sip on exotic cocktails while marveling at the sunset, then watch London come to life as lights twinkle on below you. What You’ll Tell Your Friends: That you enjoyed cocktails from a steaming teapot. To add to the beautiful aesthetic and lovely sense of ceremony, the Bing Cha arrives in traditional tea-pots and are poured into little Chinese cups. 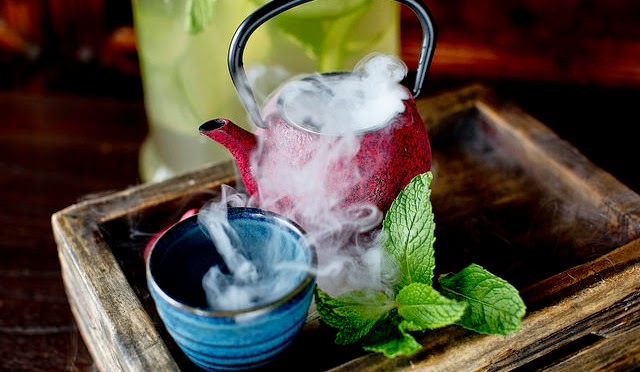 Even though it's iced tea, the teapots look like their steaming due to the addition of dry ice. Atmosphere: This is where the well-healed city folk frolic, and so feel free to dress up a bit. It also gets very busy, so there's a great buzz of excitement and frivolity in the air. Decor: Glowing red lanterns dangling from the ceiling and beautifully ornate dark wood paneling evoke the seductive Far East. Plus there's that awesome view to arrest your attention. Creative Concept: The first menu for Hutong was based around Chinese medicine, and there are still echoes of that in the new list, from the likes of the Father of Chinese Medicine and the Jade Emperor, which uses Chinese 5 Spice Tincture. The most innovative offerings are the Bing Cha, which have taken delicate Chinese teas and layered with flavours to create soothing, delicious and unique drinks. Options include the Shuanglong, incorporating Oolng Tea and three whiskies, and the Keemun Guo – Keemun tea, lychee and Grand Marnier. So You’re Thirsty: You can’t come up here without trying to Bing Cha, but there are also several other exotic offerings to tempt you - some of the favourites being the Shanghai Vines and Lychee Wine. Hungry Too? : Between 1 and 5pm you can complete your Hutong experience with their divine dim sum. After this time there are still spicy crackers, fried broad beans and Kalamata olives to snack on. Don’t leave without trying: The Fujian Breeze Bing Cha was our favourite – delicate White Silver Tipped Tea with Hendricks gin. Additions of mint, cucumber and Fernet Braca made for a herbaceous, delicate and soothing concoction. Prices Please: Averaging at about £13.50 each, the prices are a little on the steeper side – but trust us, the whole experience makes it well worth the money and you’ll be telling everyone you meet about your Hutong Tea-time treat. To read the full review, head to Social and Cocktail.